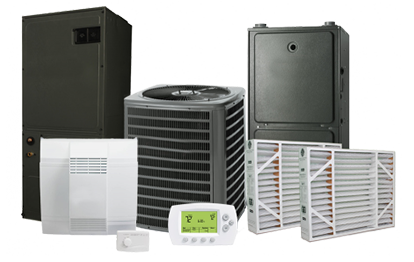 Comfort 365 Heating and Cooling, LLC is a family owned business based in Chicago, IL. We have been working to ensure our customer’s homes are keeping them comfortable in all temperatures and all seasons for years. Our goal is simple - To provide each and every customer in the Chicago land area and surrounding suburbs with the highest degree of quality workmanship, materials, and customer service at an affordable price in an effort to achieve complete customer satisfaction. ​ All of our service technicians are bonded and insured, and are experienced professionals who understand the importance of putting the customer first. We understand that you, our customer, determine whether we succeed or fail. That's why we always put the customer first. Combine this high level of dedication to excellence with quality service performed by some of the area's most skilled certified technicians, and you have a formula for total customer satisfaction. We offer the highest quality service at the lowest possible price. If you compare our costs to other HVAC companies in the area, you will see for yourself that we are very competitive. We are also 100% committed to your satisfaction. This means that if you aren't completely satisfied with any work performed by our company, we will fix it until you are satisfied. We enjoy providing heating, cooling and duct cleaning services and we will do everything possible to ensure that we meet your expectations. Call Comfort 365 now and ask about our specials! Comfort 365 Heating and Cooling, LLC offers air conditioning, heating, indoor air quality, duct cleaning, and commercial HVAC services in Chicago, IL and the surrounding areas. So what makes Comfort 365 Heating and Cooling different? It is my philosophy that we are in business not only to get new customers, but more importantly to keep them. We are constantly striving to exceed your expectations and you can trust us to offer you the lowest possible price on all services and installations we do. We are, and always will be, the best value in town.